Home / Posts tagged "eating disorder"
It was officially reported that Demi Moore is seeking help for stress, exhaustion, and substance abuse, but it also appears that Demi is suffering from an eating disorder. Over the years I have followed her movies. I have watched her extreme body changes, diets, and exercise. Demi Moore has been engaging in an eating disorder. This has been going on for years in front of our eyes as we have watched her on the screen. It was in plain site, but most people are not even aware of eating disorders, especially exercise bulimia. Even now it is officially reported that her hospitalization is due to other causes. If we look at Demi Moore’s highly publicized dieting we can find eating disorder behavior resembling anorexia. She used the Zone Diet, Carbohydrate Addict’s Diet, Raw Food Diet, and other extreme methods of calorie restriction. She became vegetarian eliminating whole food groups making it easier to avoid eating, which is very typical with someone with anorexia. At Rebecca’s House Eating Disorder Treatment Programs we often see patients who are afraid that if they start eating they will not be able to stop. At Rebecca’s House we are seeing an increase in eating disorder patients who are in their 40’s and 50’s. This corresponds to recent national statistics. Typically this age group has been engaging in eating disorder behaviors for years but they have been able to keep their symptoms obscured. Demi Moore has been using over exercising (exercise bulimia) and extreme dieting, but it has been masked as preparing for her movie roles. When women struggle with their maturing body, launching children into the world, and marital problems it can cause an untreated eating disorder to re-emerge. The focus of child rearing has provided a temporary reprieve, but even this focus to avoid looking at oneself profoundly affects the children creating a second generation of eating disorders. When the emptiness that was filled with child rearing is gone the eating disorder can become critical. With the children grown relationship problems now come into focus, marriages dissolve and that profound emptiness takes over. Women often focus on their bodies to distract themselves from the pain of relationship issues with their mate and themself. Coping with loss, change and especially a feeling of a loss of control can send a susceptible person back into the throes of an eating disorder. Demi Moore said in a Harper’s Bazaar interview, “What scares me the most is not knowing and accepting that just about everything is not in my control. That makes me feel unsafe.” Very often women use their weight and diet as a way to control something when other areas of their lives feel out of control. 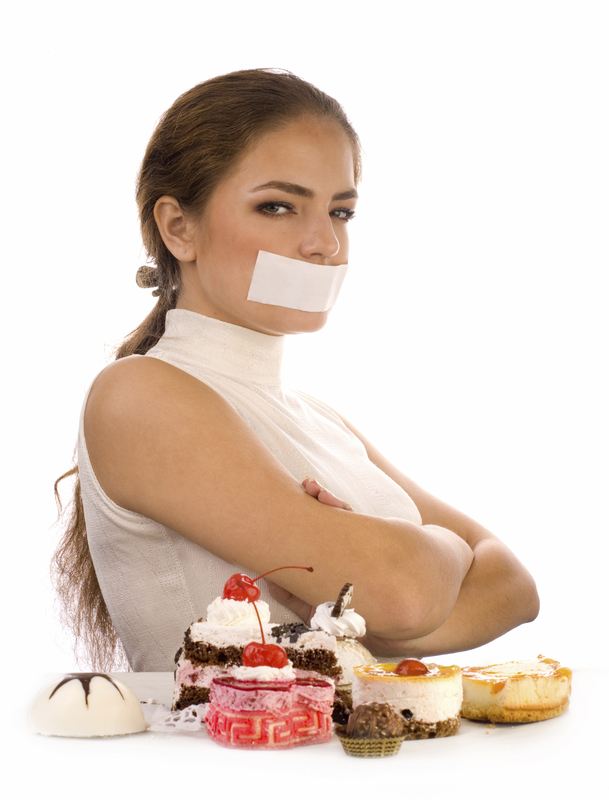 The eating disorder is used as a diversion to suppress the feelings and fill the emptiness. The thoughts of food, weight, diet, and body image soon consume every waking moment of their life. I ask my patients at Rebecca’s House Eating Disorder Treatment Programs “how much time do you spend thinking about food, weight, diet, and body image” and most will say “99% of the time”. Earlier this year Demi Moore revealed to British Elle that she used to have an unhealthy “extreme obsession” with her body. In the recent Harper’s Bazaar interview, Demi Moore said she had struggled with body image for years. She said her deepest fear “is that I’m going to ultimately find out at the end of my life that I’m really not lovable, that I’m not worthy of being loved. That there’s something fundamentally wrong with me. …” At Rebecca’s House this is a statement we hear from almost every eating disorder patient. Low self-esteem and feeling unlovable is very evident in eating disorders. In the early ’90s her trainer, Rob Parr, said she biked or hiked for up to two hours a day, six times a week while pregnant. On the day she gave birth to her second daughter, Scout, he said they did a 22-mile bike ride that morning. After the birth of her daughter Demi Moore wanted to be camera-ready 30 days postpartum. She was obsessed with exercise. Demi Moore’s self-confidence was bound up in her roles and her body image. In 1996 to prepare for her starring role in Striptease, Demi Moore followed a daily regimen of long predawn runs, three hours of dance, a session with her trainer and yoga. Then in 1997 to prepare for her role in GI Jane, Demi Moore went through a grueling fitness regime for her role. She spent two hours a day pumping iron and then ran 6 miles. She was envied for her hard body, but no one thought she could be using exercise as a manifestation of her underlying eating disorder. Then in 2003 Demi Moore, age 41, was back in the spotlight as a shockingly buffed bodied bad guy in Charlie’s Angles: Full Throttle. No one said that this could be exercise bulimia. Demi said she was obsessed with working out to prepare for these roles but now she is kinder to her body, staying super fit with Pilates, walking, and light weight training. The recent hospitalization seems to contradict this. But that is the most important fact about eating disorders. You say and believe you can stop on your own. That is the reason so many people die from eating disorders. Eating disorders have the highest mortality rate of any mental illness, but with eating disorder treatment you can recover. At Rebecca’s House Eating Disorder Treatment Programs, we see patients come back to life. They find meaning and purpose that the eating disorder had taken away. And most important is they are able to live without those obsessive thoughts that fuel the eating disorder behaviors. They are free!